Do not be afraid. I bring you good news that will cause great joy for all the people. Today in the town of David a Saviour has been born to you; he is the Messiah, the Lord. With an introduction featuring children describing Christmas as they see it, the honest and often unintentionally witty comments give the perfect backdrop to encourage readers to look more closely at the life of Jesus Christ, the Christmas child. A festive cover designed to look like wrapping paper is on the outside. Inside, Luke's Gospel uses an innovative NIV format that is presented without chapters or verses, allowing it to be read as a flowing narrative. Will you give God's Gift this Christmas? Priced at just 25p per copy (plus P&P), churches, organisations, and individuals can purchase as many as needed to reach out to friends and communities. Luke's Gospel is presented without chapters or verses, allowing it to be read as a flowing narrative. With wrapping paper for a cover and children's comments inside, it has been designed to provide a reminder about the real meaning of Christmas. This Christmas, give the greatest gift - the gift of the Gospel. Pop a copy in every Christmas card you send out. Just make sure your cards are big enough! 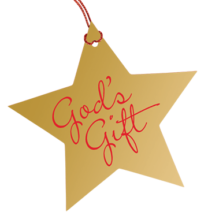 Arrange a door-to-door distribution from your church, giving out copies of God's Gift. Give a copy out to every participant at your all-age service - invite those who take a copy to give it away to someone on their journey home. 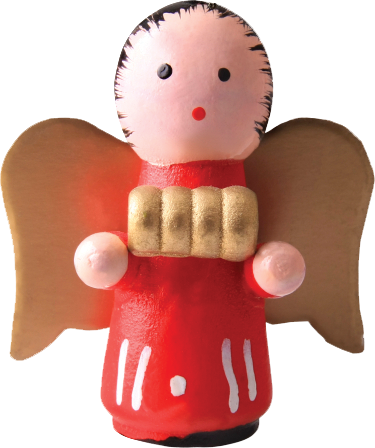 Put a copy in with food or gift parcels distributed at Christmas by your church. Get a group to sing carols round your neighbourhood - give out a copy to everyone you meet. Give a copy away to everyone who attends the Christmas Eve service along with a mug of hot chocolate & a mince pie!